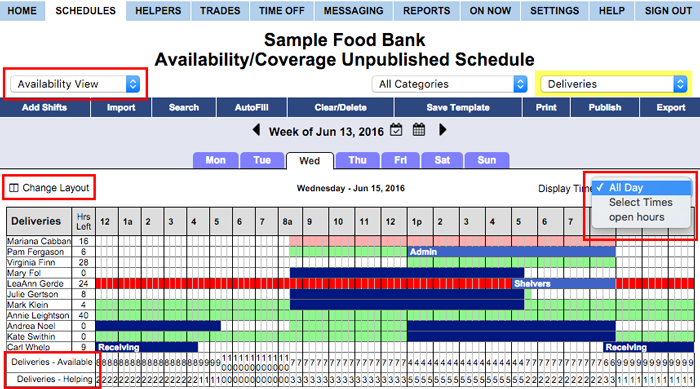 The Availability - Coverage View allows a quick spreadsheet type daily overview of all helpers, listed by Position - when they are scheduled, they are superimposed on a grid that includes their help time preferences and granted time off. You can change the range of hours that display (and even save different ranges) to focus just on that time range. 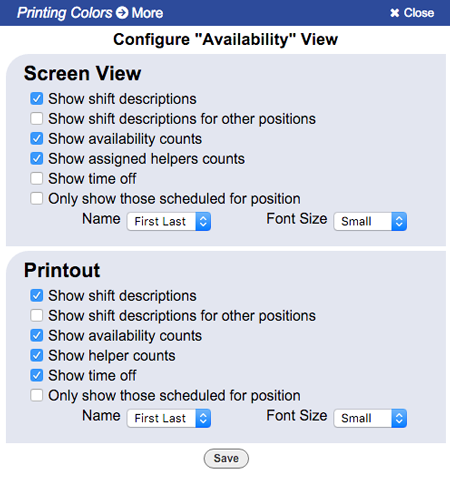 If you saved the display time period, it will now show in the Select Times dropdown for quick access.